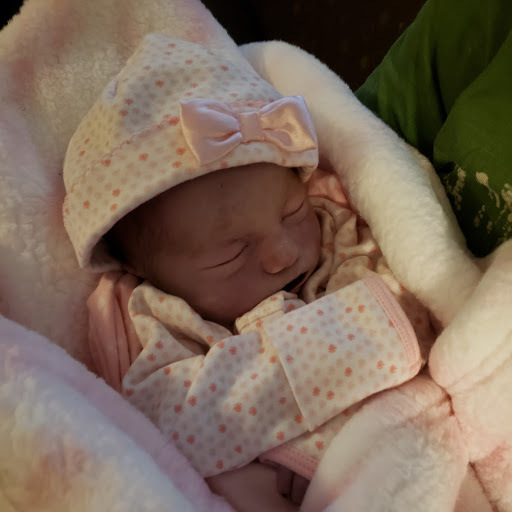 Rozalee Joy Shatzer gained her angel wings into Heaven on April 5th, 2019. She was the daughter of Bethany Herbert and Saulee Shatzer and is survived by her paternal grandparents Douglas and Amy Shatzer of Tiro, OH and her maternal grandparents Holly Herbert and Rick House of Wellington OH, and Jarred Herbert of Grafton, Oh. Rozalee is also survived by great grandparents, great-great grandparents, aunts, uncles, and other relatives. Family and friends may call at the Barkdull Funeral Home and Crematory on Wednesday from 5 to 7 PM, funeral services will follow at 7 PM .The family requests that everyone wear casual clothes to celebrate Rozalee's memory.